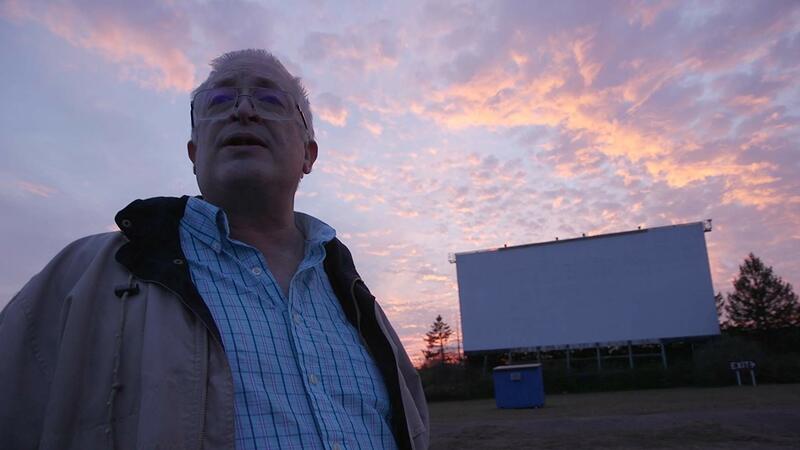 Waning attendance made the Mahoning Drive-In reconsider their business model: No first run movies, just classics, and on true 35mm film. It worked. At first, At the Drive-In is about the preservation of an American pastime, the way things were. Maybe an empty nostalgia for the days of car hops and giant insect movies, but it’s earnest and pure in defending the lost art of cinematic projection. Like video stores, drive-ins hold a particular tactile feel. Unlike the disposable nature of digital, physical film and its projection creates an indescribable intimacy with movies. The rural Pennsylvania Mahoning location understands this – at the expense of profits. This is also a documentary about people. Oddballs and eccentrics to most, preservationists and heroes to others. This group works unpaid. They man cash registers, set-up promotions, and dress up for theme nights all under the banner of pure cinema. This isn’t a group of seniors holding on to their youth. Rather, primarily millennials (and younger) who gather every weekend to support a bygone era of film. Studios creating the material leave them abandoned for cheaper digital distribution. To keep this alive, the volunteers sleep on cots around the grounds between weekend showings. At the Drive-In makes their case – they never appear irrational or oblivious to the situation, just the most die-hard of the die-hards. The cast of At the Drive-In makes their plea meaningful. There’s plenty of talk about history. Mahoning set up shop in 1949. The original projectionist even makes an appearance. The projectors? They have not moved since opening night, and still function as if new. And that screen? Massive and Cinemascope, one of the largest anywhere. Around the rundown-looking buildings that make up Mahoning, VHS tapes and posters line the walls. It’s as if time stopped around 1997 or so, with only one or two exceptions. But this isn’t all about history. It’s an underdog story of success under capitalism, belief over profit, and ultimately, keeping the uniqueness of this display technique around. There’s remarkable passion at work here. It’s a threadbare operation (no one would consider eating a concession stand burger off Mahoning’s floor) yet underneath the aesthetics is a true love for what they do, and what they see and hear. It’s preservation, this at a time when studios seem ever less interested in doing so themselves. Customers matter too. At the Drive-In finds a few of them – equally eccentric as the volunteers – digging into the why. Who pays $10 to drive into the middle of nowhere to see a movie projected from WWII-era equipment? Probably no one rational, but this isn’t about the money or the drive or the time period. It’s about seeing film, actual film in an era of too-clean digital cinemas, with audio playing from an FM radio because that delivers a natural, organic warmth. Like vinyl, but somehow purer, because this is about watching classics with a community of equally appreciative film-heads on a comfortable summer night. Suddenly, that seems pretty damned rational to any movie connoisseur. At the Drive-In is a story of film – actual, physical film – and the inate interest in keeping that part of cinema alive through an American staple.